In one of our first blog posts, we covered the primary benefits of owning a modular home. While that blog provided a great overview of the advantages of modular homes, we wanted to delve into more detail about each of the benefits we listed. We’ll begin by detailing perhaps the most beneficial aspect of a modular home: customizable options. When you think about a custom-built home, you probably also think about the sticker-shocking price tag associated. Indeed, a traditional custom-built home in the Southern Illinois area will cost you between $1.50 and $2.50 per square foot. Factor in the design professionals and architects, which might cost 15 percent of your construction costs, and you’re looking at a price ranging from $350,000 to 1.5 million just to build the home. Keep in mind that this price is just for designing and building the home. You also have to worry about furnishing, landscaping, and decorating the home to suit your lifestyle and tastes. According to Home Advisor, however, a modular home costs between 10 and 20 percent less than a custom-built home. Not only are modular homes more affordable, but they also come with the same customizable options that you’d want in a custom-built home. People dream about custom-built homes because they’re designed to fit a lifestyle perfectly. Instead of compromising on a home that doesn’t have quite enough space, or one that has far too much space, you get exactly what you desire. 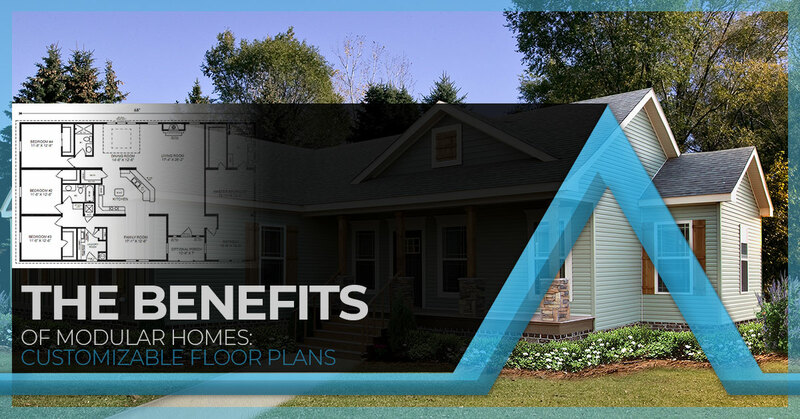 Thanks to their diverse floor plan options, modular homes are essentially custom-built. Indeed, at Cannon Homes Inc., our floor plan options allow customizability for retired couples, single homeowners, and families alike. Browse our floor plan selection today to see which option from our modular home builder might suit your needs. House type (two-story, ranch, etc.). When you get to have a say in the exact sizing and layout of your home, you’re far more likely to enjoy the space. How Are Modular Homes Customizable And Affordable? When people hear that modular homes have these incredible customizable floor plan options, they tend to wonder what the catch is. After all, why are they 20 percent more affordable than custom-built and traditional homes? People automatically assume there’s a sacrifice when it comes to quality. The reality, however, simply involves the shorter build time. Because modular homes are built in a factory, they benefit from economies of scale and much faster build times. You also don’t need a home inspection, as they come pre-inspected. As a result, you aren’t funneling your money into construction costs. Instead, you get your home faster and more affordably. If you’re looking for a modular home builder nearby, Cannon Homes Inc is the Top Rated Local® modular home builder in Illinois. We service Marion, Mt. Vernon, Woodlawn, and all of the surrounding area. Get started building the home of your dreams today with Cannon Homes Inc.